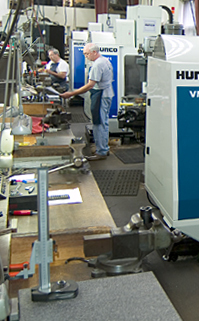 Mechanical Specialties Co. works with our clients throughout the part development process from first prototype through Short/Medium Range component and assembly production needs. We are capable of making parts in single pieces, up to larger quantities that fit your specified project scope. Our customers value our ability to work with them based on their needs. Call or email us today to connect with a customer service representative to discuss your Short Run Production needs.